The award winning Genus Hurricane Rig is already creating quite a stir as it offers incredible performance, professional features and a light weight, flexible design that rivals that of S3D beam splitter rigs costing 5 to 10 times as much. With close to 100 rigs in use world wide on projects as diverse as IMAX movies, natural history television, corporate videos, training and education, the Hurricane Rig is set to continue to go from strength to strength. The Hurricane Rig is manufactured by Genus. Genus are manufacturers of a wide range of very high quality video and DSLR accessories including Matte Boxes and camera support systems, so have the expertise needed to take a product from concept through to completion. Despite being aimed at budget conscious users, , the Genus Hurricane Rig is already finding a home in stereoscopic Movie and Commercial production around the world. Built to take a wide range of cameras from DSLR’s to compact studio cameras the Hurricane Rig makes the production of first class S3D very affordable and straight forward. It’s no nonsense, yet fully upgradable design means that it is simple to use and easy to understand. This means it will appeal to many with little or no S3D experience. That’s one of the primary reasons for this web site. A place to learn how to use the rig, share your experiences and tips and learn about any future updates or add-ons. The Hurricane Rig has been optimised for use with low cost cameras, but is equally at home with high end film replacement cameras. Careful consideration has been given to camera balance and the lower manufacturing tolerances sometimes found in lower cost cameras. For example the camera orientation is designed to eliminate the opposing skew errors introduced in some other rig designs when using cameras with CMOS sensors. 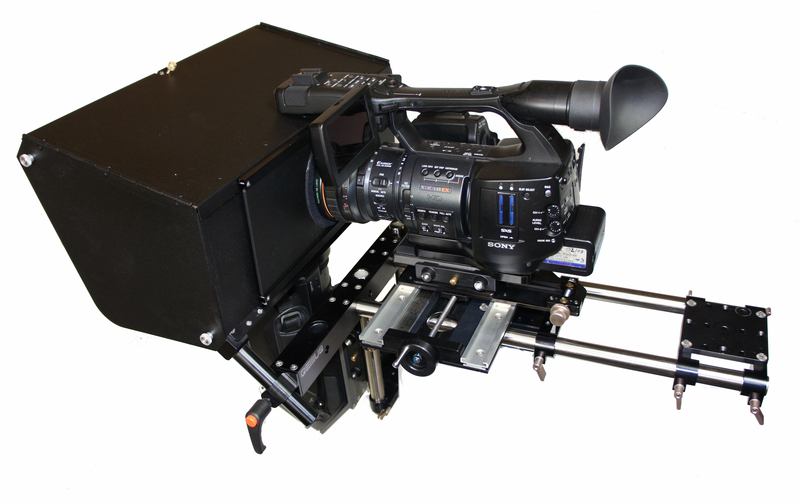 The rig can be configured as both a beam splitter rig and side by side rig plus there are motorisation options and a full upgrade path to a complete remotely controlled 3D movie production kit. The best bit though is the price of $8,500 USD for a complete base rig, including a compact, rugged shipping case! 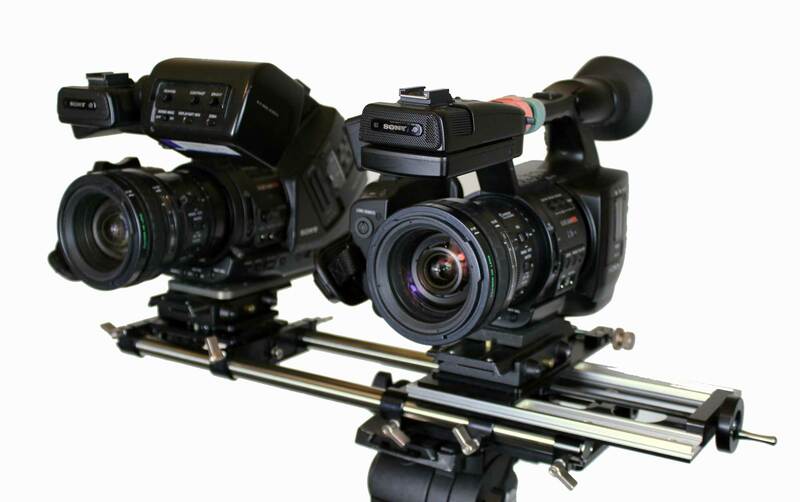 Cameras being used on the rigs by our customers include Sony F3’s, EX3’s, Canon XF105’s and 305’s, Red Epic, Red One, Si2K, P1, JVC HD251, Nikon and Canon DSLR’s and many, many others. 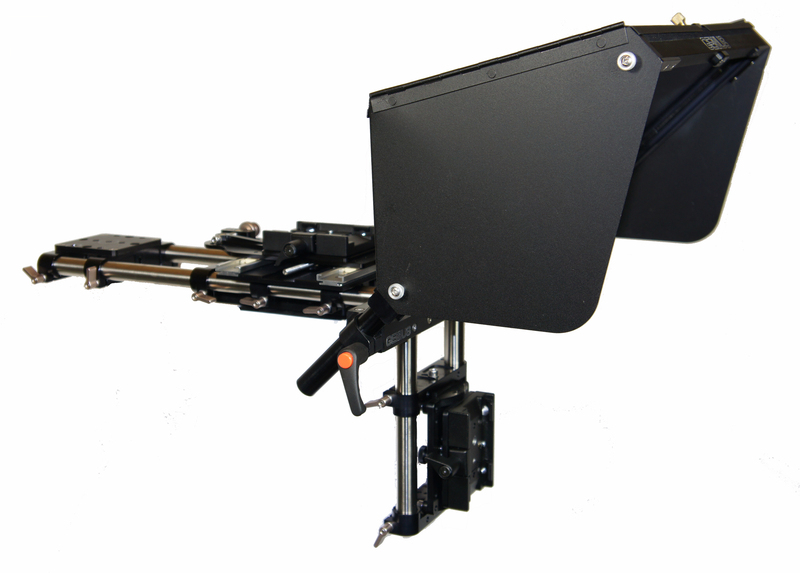 The basic rig is designed to be upgradable and options available now include the motorisation of Interaxial, a mirror hood specifically designed for movie and high end production incorporating a mount for a de-polariser. A special angled tripod support plate and brace for use with heavy cameras and lenses (Bolster kit, available from stock). Other planned upgrades include a kit to invert the rig for ultra low shots. All of these options will work with the standard base rig, so you can upgrade and grow your S3D Hurricane system as your needs change. The base rig is a manually driven rig with simple but accurate controls for Interaxial and Convergence. This makes it well suited to teaching and training or for use in remote areas where the additional complexity of motors can affect reliability. Further related accessories include a very low cost dual focus system as well as a more advanced wireless dual focus and zoom system. Hurricane Rigs are normally available from stock from our global dealer network or direct from the factory.